Photographs from Shelby Lee Adams recent book, “salt & truth” (Candela 2011) will be exhibited at the Ogden Museum of Southern Art in New Orleans from October 6, 2012 to January 7, 2013. 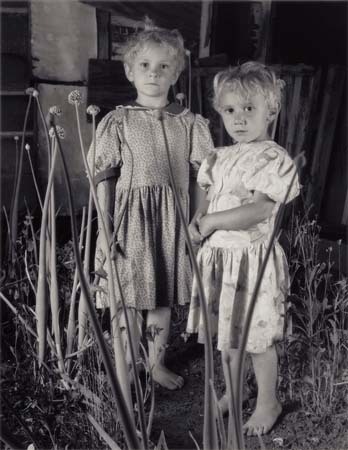 For more than thirty-five years, Shelby Lee Adams has been making powerful and honest photographs of the hollow dwellers of eastern Kentucky. These images described by Adams as “collaborations” come from mutual trust and respect between the photographer and his subjects. Adams was born and raised in Hazard, Kentucky. His insider knowledge and connection to the people and culture of that region is reflected in his compassionate photographs that expose the depth and character of a disappearing lifestyle. This entry was posted in News on September 3, 2012 by karendavis.